Staying safe on the roads is vital for any driver, especially if you have a larger vehicle. The Motokit Van and Truck First Aid Kit provides you with easy to use first aid materials to prepare you for any accident or injury you may encounter on the road. What Is Included in the Van and Truck Kit? This kit was designed specifically with large delivery van and long distance truck drivers in mind, containing everything one would need in a driving or roadside emergency. The kit comes in a sturdy Aura container, protecting your provisions from dust and moisture, and contains a bracket for easy wall mounting. 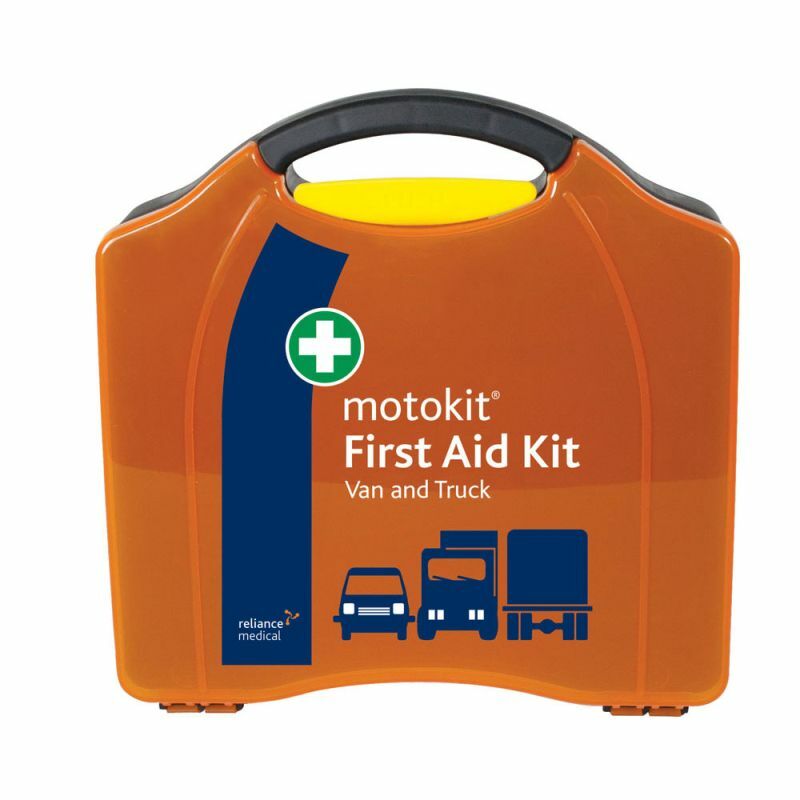 The Motokit Van and Truck First Aid Kit is usually dispatched via First Class Royal Mail and delivery should be within 1 to 3 working days.